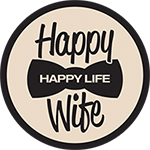 In addition to DJ services in Edmonton, Calgary and surrounding areas, Happy Life is proud to offer a range products and services designed to dazzle and impress on the dance floor at your next event. Ask us about the following party favourites! Custom Services as Required Have special requests? We’re more than happy to accommodate your perfect night!